Why 16? Each of Algeria's 48 wilayas, or regions, has an assigned number for its license plates. 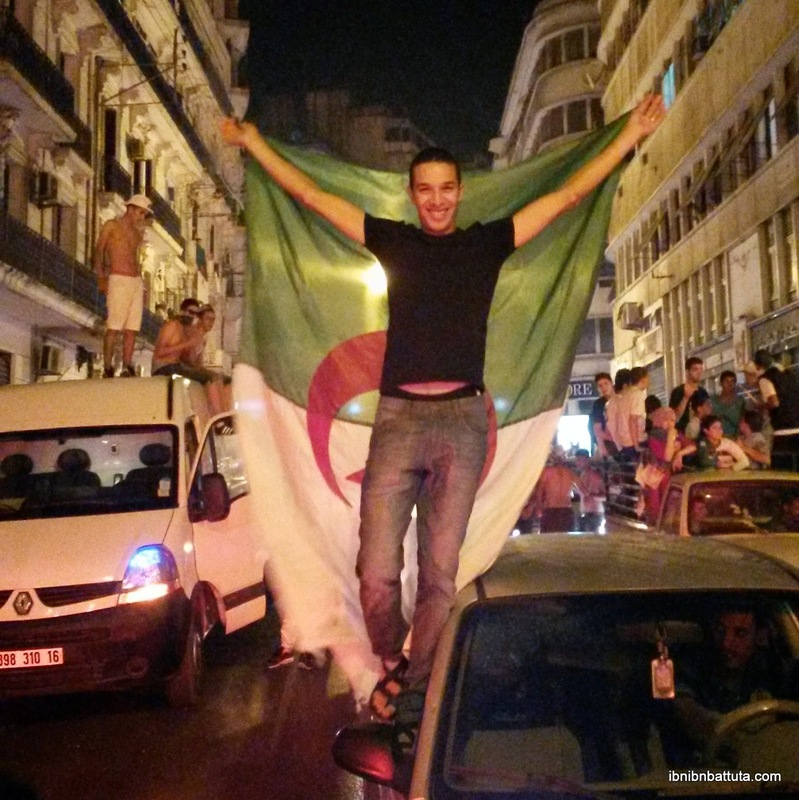 Because plates on every car registered in Algiers end in 16, the number has become synonymous with the city. After over two years of living and working in Algiers, I have spent considerable time exploring the city and its surroundings, as well as entertaining a handful of adventurous visitors. In the process, I've gotten to know this city well—even if I'm still discovering more each day. With its steep hills slanting down to the bay, Algiers resembles a North Africa San Francisco, at least in terms of topography. Thankfully, five fully operational téléphériques, or cable cars, link the city's heights to the coastal quarters below. 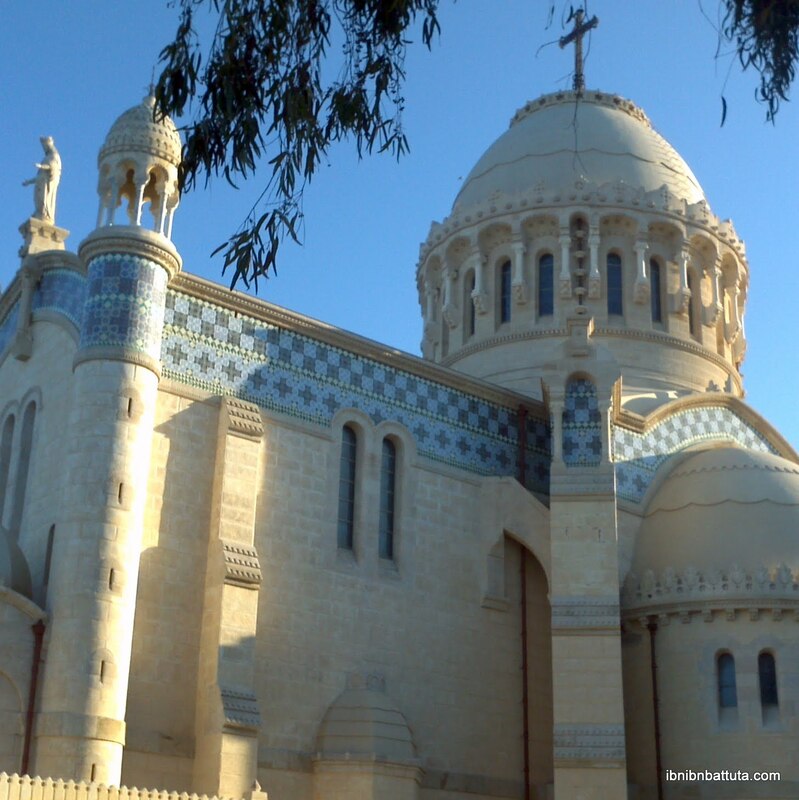 For a great view, try the gondolas ascending from the seaside Bologhine neighborhood to Algiers' very own miniature cathedral, Notre Dame d'Afrique. Affectionately known locally as "Madame l'Afrique", the Catholic cathedral, built to face its larger sister basilica on the hills above Marseille, still operates regular services, but welcomes visitors of all faiths. Don't miss the spectacular sea view from the cathedral's steps. Every Algérois (resident of Algiers) will tell you that the best food around is always home cooking, but even the most discerning of critics grudgingly admit that Djenina—the capital's best traditional restaurant—makes top-notch couscous, tajine, mechoui, and other traditional dishes. The historic restaurant's ornate Mauresque interior and impeccable service are an added bonus. For even better tchekhchoukha (my own personal favorite among Algerian dishes), head down the street to another, much cheaper traditional restaurant, Khaymat Essaoura, outfitted to look like the interior of a Saharan nomad's tent. The central post office of Algiers is a marvel of French colonial appropriation of local styles, and one of Algiers' most impressive structures. On the sidewalk a few meters away, a trinket seller sets up shop each day, offering postcards with plenty of classic Algerian views. 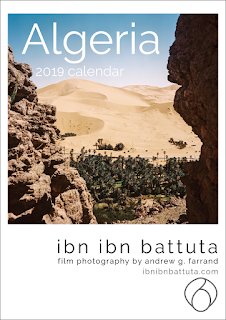 Pick a few up, along with stamps from one of the counters in the post office's ornate interior, write down some first impressions of the city, and say a prayer: Algeria's postal service leaves much to be desired, and if my own experience is any guide, your postcard may never arrive at its destination! Algiers' location on the Mediterranean coast gives the region's fishermen prime access to some great seafood. And where better to eat it than in one of the restaurants overlooking the fishing port? La Madrague is where locals in the know go to eat delicious swordfish, shrimp, mullet, sea bass, whiting, and more, all freshly caught from the sea. Grilled sardines marinated in fiery red derssa sauce are a must, and pair well with local Tango beer. While they may not stack up to the great avenues of Milan, Paris, New York, or other major fashion centers, Algiers' main shopping drags bring plenty of historical charm. Rue Didouche Mourad, Place Audin, and Rue d'Isly have been window shoppers' and people watchers' paradises since colonial times, and remain so today. Besides the standard clothing and shoe sellers, curio shops sell wonderful oddities (e.g. lizard purses, with head and feet still attached), and it's easy to lose oneself amid the antique shops and used booksellers. Just don't forget to look up—these streets have some of the most ornate and well maintained façades in town. First planted by the French in the 1830s, the Jardin d'Essai, or "trial garden", was where the colonizers attempted to grow plants from all their other colonies to see what took in the local climate. But the gardens long ago surpassed their practical origins. Today, Algiers' answer to Central Park has thousands of species of temperate and tropical plants, and its tree-lined walkways are a favorite local hangout spot for anyone seeking tranquility in the city. Besides occupying an awe-inspiring space, Algiers's modern art museum—built in a masterfully converted colonial-era department store—is a great place to see works by Algeria's burgeoning (yet largely unknown) young creative class. Curious decisions by the curators (e.g. a "Potpourri" exhibit featuring African masks, local still life paintings, and Asian jade carvings) can make many visits exciting, if baffling. Also don't miss a chance to see concerts, exhibition openings, or other special events at the museum. 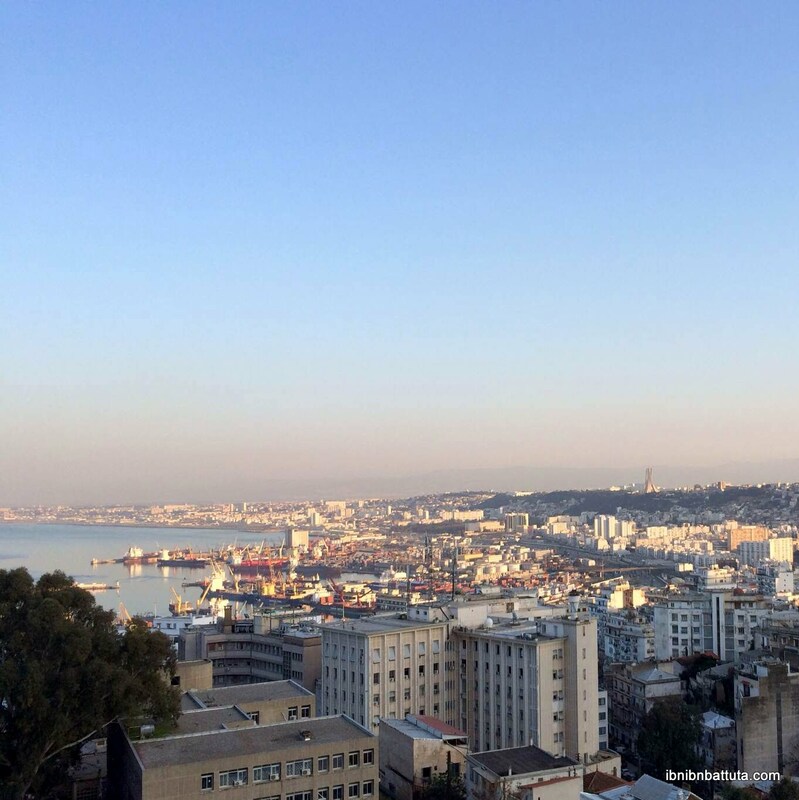 Recently renovated, the Aurassi Hotel is a cut above the rest in Algiers in terms of quality as well as geography. The enormous ridged block building looms over the capital, dominating from the peak of the highest hilltop. (One look and you'll see why it is known here as "the air conditioner of Algiers".) From its terrace, you can take in the whole city and port far below. Sunset is the best time to come and enjoy a cocktail while taking in the best view in a town full of exceptional views. Many visitors to Algiers, expecting traditional Middle Eastern fare, are surprised to learn that few Algerians know what hummus or falafel are. Instead, the local grub of choice for students, laborers, and anyone else on a budget is garantita—a warm chickpea-based mash spread on a baguette and topped with spicy red harrissa sauce. The best companion for it is Algeria's national drink, Hamoud. (Try the apple-flavored dark Selecto version for a true authentic experience.) The whole meal, for you and a few friends, shouldn't set you back more than a buck. Chaabi literally means "popular" in Arabic, and its name is fitting, given its important place in Algeria's culture—and the capital's in particular. This style was born within the unique melting pot of the Casbah, and combines Andalusian, Jewish, European, and more contemporary Arabic styles in a rhythmic, festive mix. 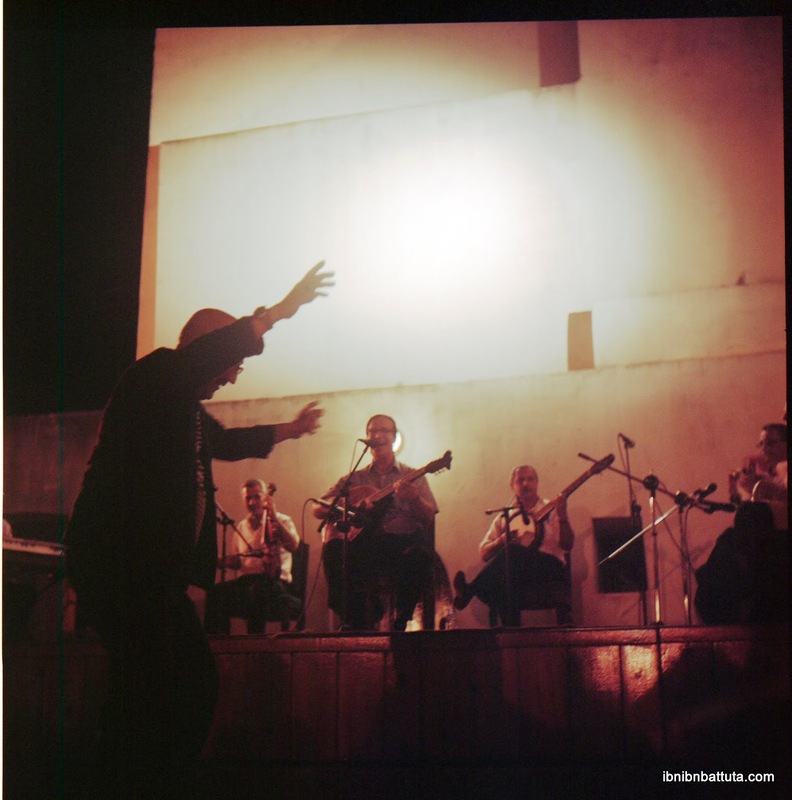 Small concerts pop up throughout the year, but the best time to catch a local chaabi group is Ramadan, the holy month of fasting when the Algérois become nocturnal and cultural events abound. To escape the heat, the Algérois spend their summers at the many beaches along the Mediterranean coast. While beaches near the cities of Annaba, Bejaia, and Oran are more renowned, the capital holds its own. 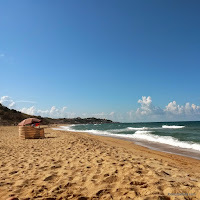 Beaches to the west of town aren't so clean, but the yellow sands of Ain Taya, just east of Algiers, are well kept, and the atmosphere is comfortable even for Western women. The best part about Ain Taya? The Hotel Turquoise, with its superb seafood restaurant overlooking the surf, is just down the beach. Cafés in Algiers tend to be smoke-filled, male-dominated affairs. That said, the occasional local woman does duck in for a coffee, invariably served here from a traditional Italian espresso press. Spend enough time here and you, too, will learn to crave that small cup of black magic, thick as motor oil—or, in my case, two—each morning. (For the faint of heart, café au lait is available. Or try another local favorite—mint tea flavored with rose water from the shaker on the bar). If you're downtown, pick up bragging rights by sampling a historical café like the Milk Bar or Tantonville. Now, who wants to come for a visit? Note: Assembling this list was difficult—not because of how little there is to do in Algiers, but how much. Identifying another 16 worthy experiences should be feasible. Have suggestions? What did I miss here? Let me know your thoughts on this list, and what I should include next time! Hi my friend, I've really enjoyed reading this article. It is really interesting to see how we don't see the city the same way (in spite of some similarities). - Fast breaking with a typical table set for Ramadan and sharing this intense moment. I really love this bloc, thanks for sharing this with us. Rostom, thank you so much for your comment. I really like these suggestions too, and have noted them for a follow-up list! So glad you enjoyed, and thank you for reading. Ditto. great article. I'd add: Visit the Bardo Museum for a low down on Algerian history, Have a snack or more at Lalla Mina, Take an "Algiers by Night" car ride...I fall in love with the city whenever I take one. Look forward to reading follow ups! I agree with the previous comments, this is a lovely article, thanks Andrew :). Just one little remark: Ain Taya is EAST of Algiers, not west ;). Thanks for reading and for your message, "Anonymous". So glad that this brought you a little momentary taste of home! 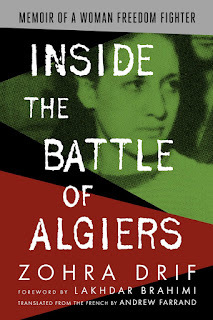 Similarly, here in Algeria I frequently like to read about life back in the States to keep myself connected. There's no place like home! Great Article thanks Andrew for sharing it. Thank you for this wonderful article, I am so proud to see that people love our city the same way we do. I have just a comment: Ain Taya is a nice city but the turquoise Hotel is in Surcouf, a fishermen's village next to Ain-Taya!!! Thanks so much Adnane, Mohamed, Samia, and some anonymous readers. It's a real pleasure to hear your feedback and to know that you enjoyed this article. I hope you'll keep reading and sharing your thoughts with me in the future! 4- Now that ferries are available, I trust the view of Algiers from the sea is legendary (maybe while listening to Enrico Macias' "j'ai quitté mon pays" :P ) ... I never did it, but I will soon. Also American here, and permanent resident of Algiers (came to study Arabic/tajweed, and ended up falling in love with a guy) - hope to check out #2 and #9! The restaurants listed are out of budget for most locals (or those of us foreigners on a local salary - though we eat Algerian most days at home, so hopefully I'm not missing out on much), but I'd add to any list of all the countries I've visited, the best experiences I've had have been in local homes, getting a taste of everyday life for the general population, which is so far removed from the tourist experience. There's also an Ottoman palace and a haik museum somewhere in Algiers that my cousin-in-law-to-be took me to, no idea where though, but highly recommend them. Also, every time I pass one of the makeshift stadiums where a bunch of guys are playing football/soccer, I fantasize about walking up and being like "yo, can I join?" (which apparently my uncle used to do when he traveled the world at my age) Of course as a woman, it's even more out of the question than #15, but hey, we can dream right? :P Do me a favor, and do it for me! Curious what brings you to Algiers? Grazza, thank you so much for your comment, especially for these excellent, thoughtful suggestions! I am getting to work now on a second list and you can definitely expect to see some of these on it! Thanks so much for reading and for your recommendations, I really appreciate it. Wow ! I have to say that I was born and raised in Algiers but some of these places are completely foreign to me, I've never been to the Casbah (I know, shame on me) but the traffic? ... Oh that I know so very well ! Reading this has been an eye opening experience, I feel like meeting my city for the first time and watch it through a new lens, I will definitely be paying more attention to the streets and buildings I pass by, which I barely take a glance at usually. This article is amazing, and so is the entire blog, I've only read a few posts but I'm certainly going all the way to 2004 articles! Your blog is gold ! And I'm thankful for you, for people like you apreciating Algiers sometimes even more than its citizens do. I've just come across your blog and LOVE it! Thanks for a great list. 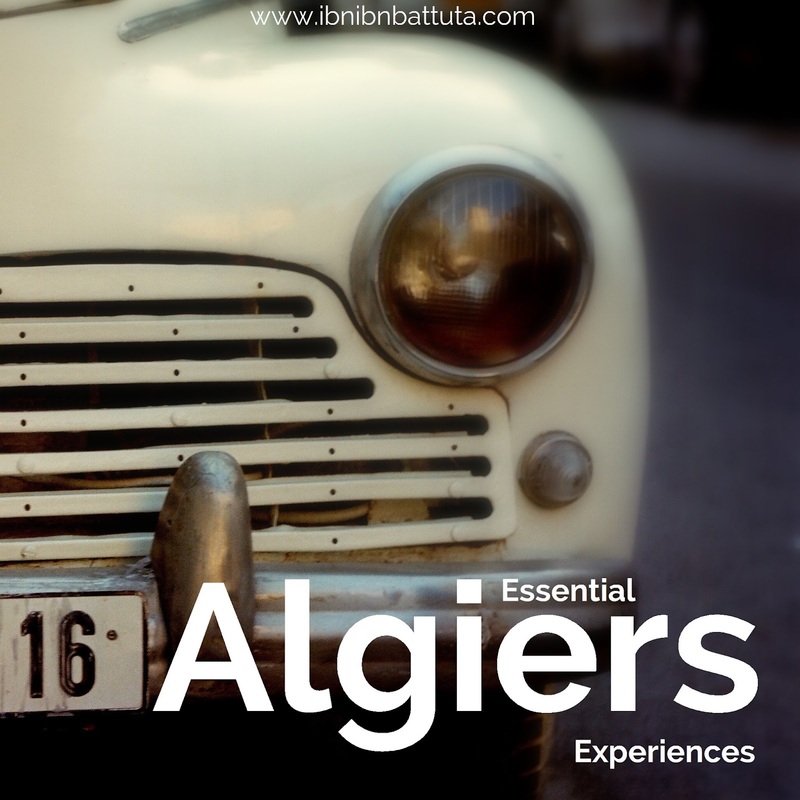 As a foreigner in Algiers, there are a couple I have yet to experience. 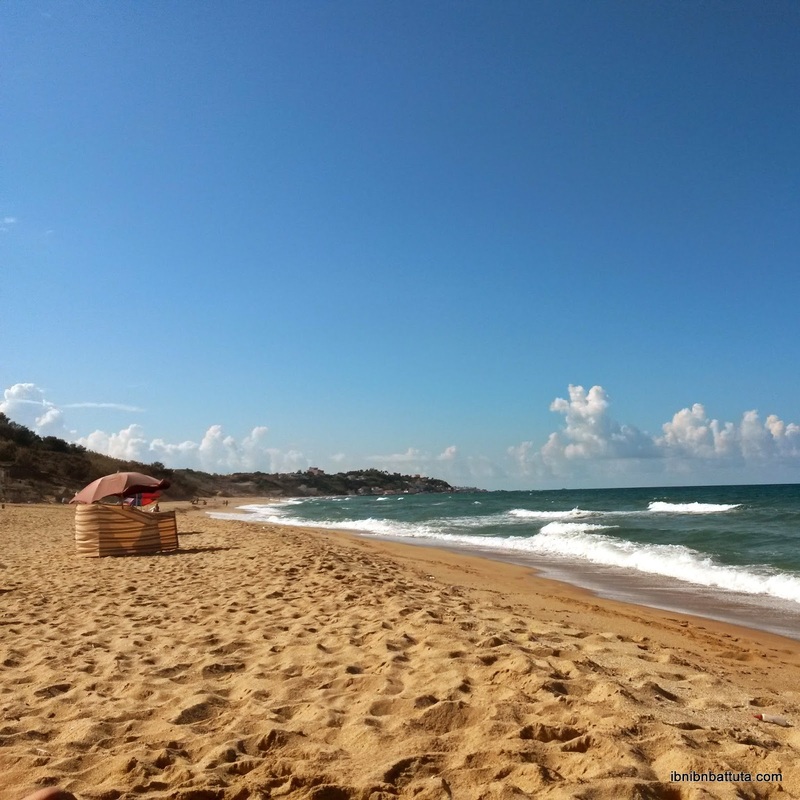 Maybe you could add some of the surrounding areas in a future list too, like Tipaza, Sidi Fredj, Dellys, the hot springs, picnicking in the mountains (Bouira and Tizi). Having said that, I guess it might depend on political situations and such. One thing I'm looking forward to in Algiers though is the Artisan Fair and the Book Fair in November at La Foire. And one of my favourite things to do is to walk around little, old towns like Fort De L'Eau and Ain Taya. Looking forward to reading more of your posts!!! Thanks E.A., Sabrina B, and Fruitful Fusion. I really appreciate the feedback and great suggestions! Thanks for reading! I also clicked on the page [http://www.ibnibnbattuta.com/2015/03/walking-hillsides-of-algiers.html] and saw the pictures there. I has taken the eyes of an outsider to remind me of how beautiful Algiers could be and for that I am grateful. What an amazing article you wrote, Andy! 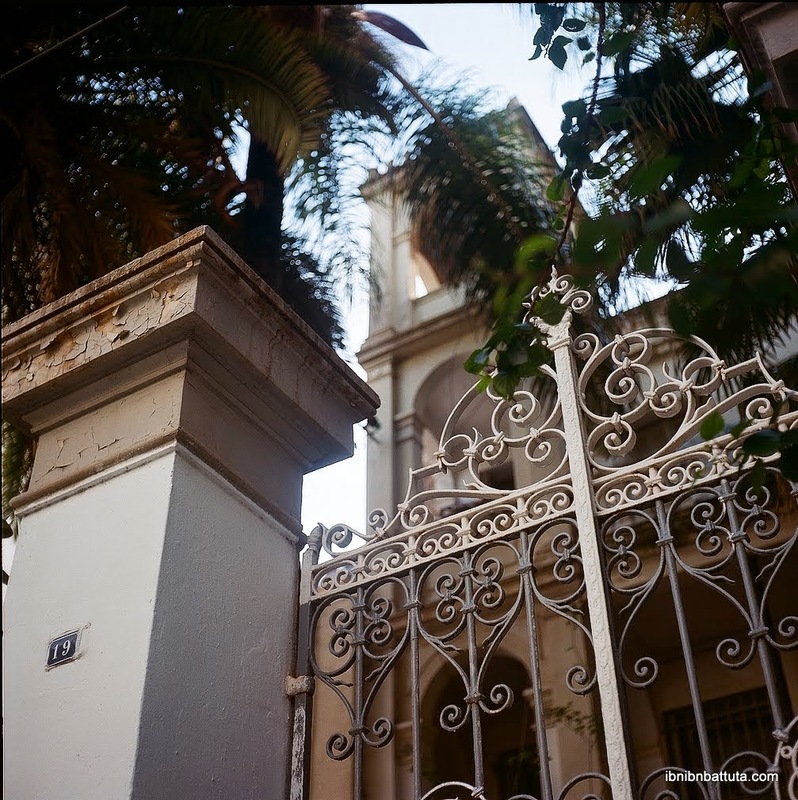 Thank you for reminding us how beautiful Algiers is. Looking forward to read your next posts. Hi Andrew, I realy liked your article and blog, and if I have to add something to this tour, it's definetly the Museum of les Beaux Arts!!! situated juste above Jardin d'Essai, you can admire there more than 8000 pièces of arts, from Algerian and European Artists as Mohamed Racim, Baya, Dinet, De la croix, Monet,... it's a three level museum with two huge balconies that got a killing view on Jardin d'Essai!!! A place that worths a visit! Great article and great blog ! You're amazing Andrew. I would like to add to the list : Tasting the algerian pastries ( very typical, and different from the other arabic countries) , the gazouz ( lemonade) hamoud boualam, selecto is A MUST if you come to Algeria and finally visiting the Bastion 23. Very cool blog! I am also Algerian and I must say it is always nice to get a foreigner's impressions on the country (doesn't happen really often). Hello! 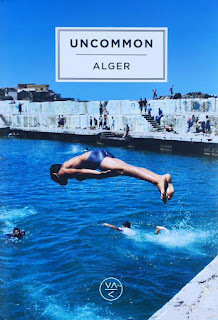 well it was really awsome to read this list...i haven't been to Algiers for a long time and i think i'm doing it soon and this list will be a helper. i hope that this great country become more open and conscious so every one in this world can take advantage of the pleasure and richness of algeria .